2016 in Payments - The Year of…. Payments in 2016 was the year of digital wallet proliferation. We saw the launch of Apple Pay and Android Pay on the web, with retailers and banks launching their own digital wallets, ie: Walmart Pay, Chase Pay, CitiPay. We also say the expansion of Amazon Pay including their deal with Shopify, as well as the reconciliation of Paypal and Visa/Mastercard. 2016 wasn’t the year of any single revolutionary development in payments. Rather, it was a year of many evolutionary developments, from infrastructure to consumer services, advancing and converging. As a result, this felt like the year when the world truly came to understand and see the value of our offering of integrated payments with related services to protect SaaS businesses from risk and regulatory overhead. I see a few key themes in payments in 2016. Third-party wallets (Visa Checkout, MasterPass, ChasePay, etc.) continued to lag in merchant and consumer adoption. We watched the continued rise of platforms moving away from third-party payments and integrating with native payments processing companies like WePay and Stripe. And we witnessed a consolidation that shifted emerging payments’ balance of power – this was particularly evident at Money2020 as large players including Google, Amazon, and Visa & Mastercard showcased bigger bets more so than smaller payments companies. 2016 saw some of the recent payment innovations blend together to provide tangible value to merchants and consumers. While 2015 was about EMV rollout, 2016 finally saw significant adoption of chip cards in the US, leading to a shift in fraud to the Card Not Present (CNP) space. Merchants and processors expected this, and were able to detect and keep the fraud down while e-commerce sales grew at double digit rates. Software companies and platforms this year also better recognized the value of integrated payments as they mature and look to provide more value to their uses. Execution is the word that summarizes 2016. Specifically, execution on initiatives and relationships as opposed to disruptive launches. Larger scale product launches were less prevalent, whereas we saw larger initiatives executed – like faster payments, expansion of mobile wallet launches, and increasing EMV rollouts. With regard to relationships, more successful integrations and cooperation that happened this year can be credited to mutual beneficial partnerships that would not have been considered or seen as attractive in previous years. I think 2016 represented an increased industry focus on platform/integrated payments, with this particular segment now the high growth area in the payments industry. With the increased expansion of EMV adoption, 2016 also saw an expected increase in Card Not Present fraud, with fraudsters shifting more of their attention to online transactions. This really highlights the importance of having risk and fraud management for platforms with integrated payments. 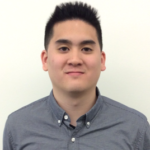 David Chau is a Marketing Associate at WePay.